We are delighted that you are interested in learning about the Dwight-Englewood School. 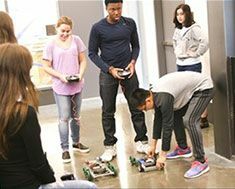 As the area's longest-established independent PreK through Grade 12 co-ed day school, our students take advantage of an unparalleled rich academic experience that is both traditional and innovative. We provide a rigorous college preparatory program rooted in the classical liberal arts while at the same time preparing students with 21st-century skills they will need for their futures. We enroll dynamic classes of talented, motivated and responsible students whose learning is deepened by their engagement with their peers and caring faculty. Students thrive here in a variety of ways including the arts, athletics, leadership and service. Our community of over 1000 students represents more than 80 towns in Bergen, Hudson and Rockland counties, as well as New York City. 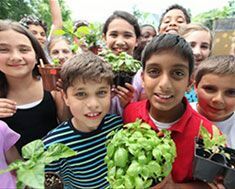 In the tradition of the nation's finest independent schools, we offer small classes and stimulating coursework that encourages students to take risks and to learn to pursue their passions. What distinguishes us is the rich diversity within our school community and the varying perspectives our students and faculty bring. Click here to learn about our spring admissions events and visiting our campus. The 2019-2020 application is now closed. However, if you wish to apply for the second round application process, please visit www.ravenna-hub.com to create an account for your family. Look for Dwight-Englewood School on the online directory to register for events and begin your application. Please complete all the steps and submit all primary and supplemental forms and we will contact you, if there is a availability, for an interview. Please do not expect a call till Mid-March. We pride ourselves in having a friendly admissions team, eager to introduce you to our dynamic community. We look forward to seeing you on campus soon!